This HDMI switch turns one HDMI input into 4! Increase the number of HDMI inputs on your TV or display from 1 to 4! In the current times, it’s quite common to be in situations where the number of devices that you want to connect outnumber the HDMI inputs available! Fret no more! 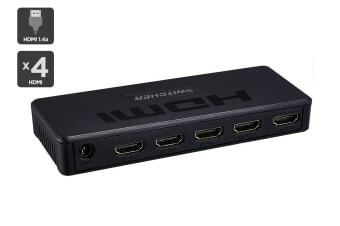 The 4×1 HDMI Switch with Remote Control solves this problem by instantly converting a single HDMI input into 4! 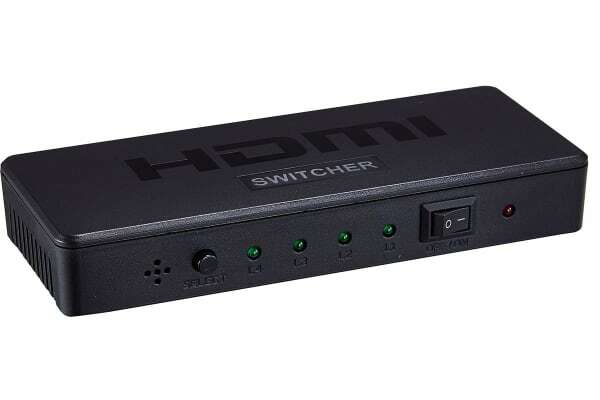 With the 4×1 HDMI Switch, you can easily connect up to 4 devices like your laptop, games console, set-top box and digital projector to your TV all at once. What’s even better is that you won’t have to keep changing or replacing HDMI cables each time! The product was easy to install and has continued to work consistently as advertised.